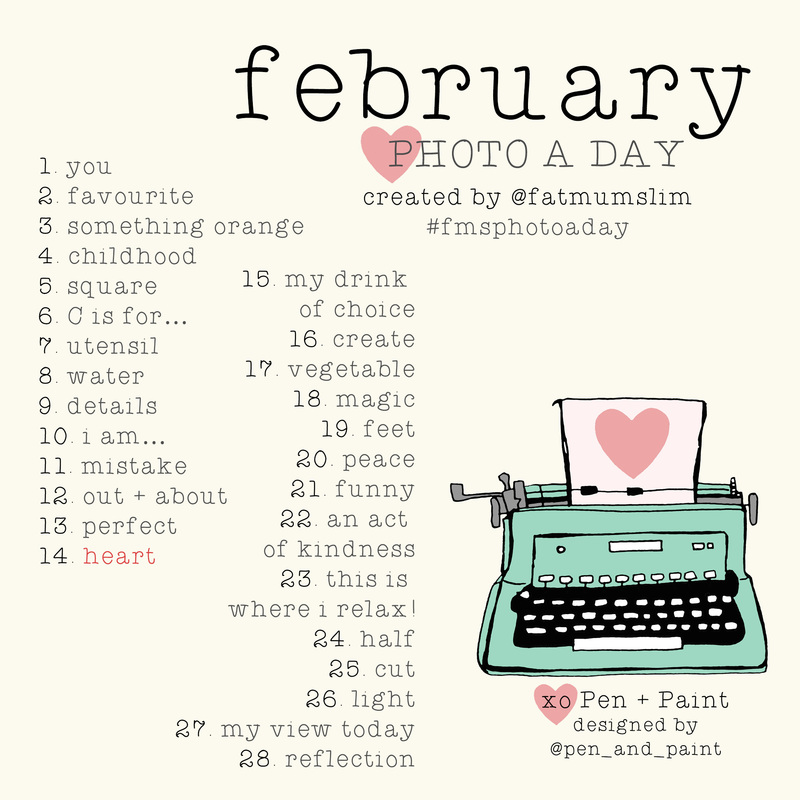 Here’s the Photo-a-Day list for February 2014. I can’t believe that it’s February already. Time waits for no one, huh? This month’s challenge was co-created by @pen_and_paint and Fatmumslim. Enjoy! This entry was posted in Photo-a-Day Challenge and tagged FatMumSlim, FatMumSlim Photo-a-Day List, FMSphotoaday, FMSPhotoadayFEB, photo-a-day challenge, Photo-a-day Challenge February. Bookmark the permalink.